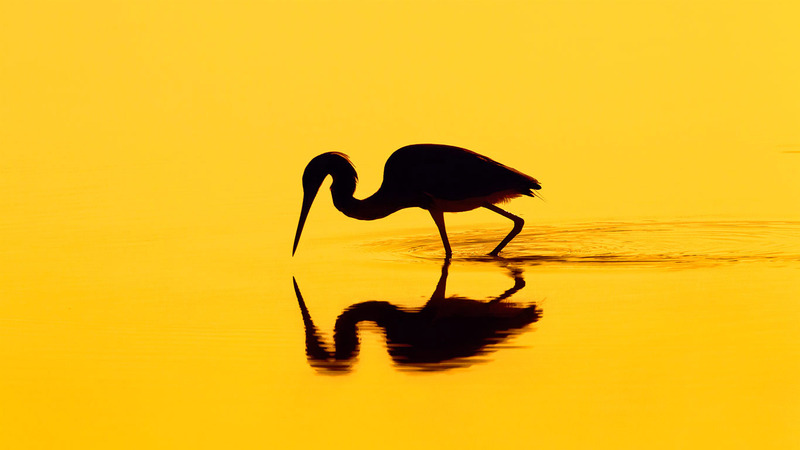 Travel anywhere on the globe—well, anywhere besides Antarctica, high mountain altitudes, or hot, dry deserts such as the Sahara—and you can find at least one of the 64 species of herons. Qualifying statements aside, that’s a broad distribution for any animal, even a bird. Most herons, including egrets and bitterns, live near water, as they usually feed by wading in the shallows, catching fish, frogs, small shellfish, and other aquatic critters.